Beloved masters, will you pause with me for a moment and take inventory of your recent accomplishments, and what may seem like defeat or failure to you? I would like for you to take a closer look and come to a better understanding as to what the initiation and ascension processes are all about. You are getting a clearer picture of the workings of cosmic law and the magnificence and complexity of our Sub-universe as the veil of forgetfulness is lifted and you begin to tap into the wisdom of your Higher Self and Super-conscious mind. However, you still have doubts and are confused when you are confronted with some of your old fears and emotions. All humanity, without exception, is progressing by leaps and bounds-yes, even those who seem to be stuck or mired in victimhood, and karmic interaction of cause and effect, the drama of good and evil or duality/polarity consciousness. Deep within every sentient Being there is a discontent, a yearning, a feeling that changes must be made-that they cannot continue in the same old painful patterns of existence. As you are witnessing, some will choose to vacate the physical vessel, returning to spirit form to await an easier, gentler time to return and continue the journey of physical expression. Others are becoming bold as they reach out into the unknown and find we are waiting there to assist them-and so, they begin to hope and dream as they take control of their destiny. Just as you must acknowledge, clear and release all negative memories and energies within your physical/etheric, mental and emotional structure, so it is with your Mother Earth as well. This is the source of the "destruction process" that you all fear so much, but it need not be as radically cataclysmic as has been predicted and as you have been led to believe. True, all that is not in harmony with the higher frequency vibrations of the new age must be transmuted, transformed or lifted; however, this can be accomplished by becoming aware of the core beliefs which do not resonate with the more rarified higher fourth- and fifth-dimensional awareness of the future. 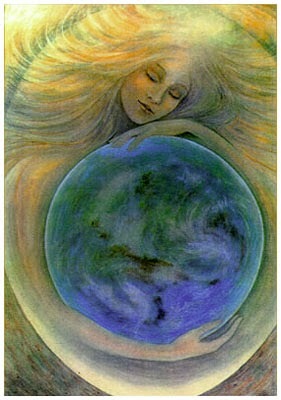 As you are aware, your Mother Earth is also striving to attain a higher level of God-consciousness. In order to do so, she must clear the negative stream of core memories within the astral plane/her auric field-the maelstrom of negative mass consciousness beliefs of humanity from many past ages. This is where many of you are having difficulties. You are not yet able to discern which are your own core beliefs rather than those created by the many different races, cultures and religions over the many ages past. As you begin to become aware of and dip into unity consciousness, which creates great wonder, joy and a sense of no longer being alone, it also opens the door for you to tap into those ancient memories of fear, failure, betrayal and shame that others carry in their auric field. You do not get just the positive energies, beloveds; part of your mission is to assist all humanity in becoming aware of its self-limiting beliefs, and the negative, destructive thought forms and actions. That is why there seems to be so much senseless violence, why so many are lashing out in anger and pain. The world of form seems to be crushing and bruising those who cannot face their own creations and acknowledge that they have, indeed, created their own hell-filled world of fear and suffering. They blame everyone and everything but themselves. For without allowing the soul or Higher Self to assist in the healing process, it is just too painful to face their creations, and the ego-desire personality becomes even stronger and more in control of the thought processes and behavioral patterns. That is why we are "pulling out all the stops," you might say, in order to assist those of you who are the vanguard, those who are opening the way and creating the path for others to follow. The process must be clear; it must be simple and not complicated as the ancient wisdom teachings were, for in the past, the ascension process was designed for the select few. Those of you who are the teachers and the Wayshowers have had or are experiencing all the emotions, fears and setbacks that will confront humanity at large. Many of you have made a great sacrifice and agreed to pass or experience many tests that were not of your own making (but an accumulation of the memory/energy patterns of other parts of your vaster Being). In other words, many of you came with energies composed of many different facets or expressions, which you did not directly experience as a soul, but which you agreed to have placed in your energy (auric) fields and your DNA so that you would have to balance and overcome these imperfections. So, beloved ones, do not judge a beautiful, awakened soul who seems to have had much more than their share of adversity. Honor them; emulate them, for they are smoothing the way for you. And so, we ask you to observe the patterns of fear and doubt that are emerging, that which is keeping you from moving on to the next level of en-LIGHTEN-ment. Each level has its own tests, trials and pitfalls, and many of you are hindering your progress because you cannot let go of old deep-core energy patterns. Many are still caught in a struggle for power, on the one hand, while creating and performing great deeds of goodness, but still trying to control or force their truths or ways of thinking on others. Many of those who still feel they must serve and sacrifice in order to grow spiritually are being taken advantage of by those who have not learned that what you take from others unjustly, ultimately, you are only taking from yourself. Many are still imprisoned in relationships which are hindering and hurtful, rather than supportive and allowing growth and expansion. They are afraid to step out of the status quo or take responsibility for their own spiritual growth and well-being. So many are afraid to face their nightmares and bad dreams, for they may come to realize they are of their own making, and that they are responsible for their own personal transformation. Stagnation and a sense of futility are the formula for death, beloveds: death of the emotions, death of mental alertness, hopes and dreams, and eventually, death of the physical vessel. What are your greatest fears right now, dear ones? What obstacles are keeping you from opening that next door to higher awareness and mastery? Before you can accept and wield the gift of the First Ray of Divine Will, you must face and conquer your fears and demons. We have endeavored over the past years to give you the tools and wisdom to accomplish this, but ultimately the task is yours alone. These next years are critical, and we have said this many times before; however, it is important that you become aware of just how quickly the process of evolution, or the ascension of humanity is progressing. If you are to stay on track and keep up with the frequency acceleration of your planet and with those who are reaching for the stars on their way back home, you must come to terms with yourself, with your fears, and your sense of being disconnected from your Higher Self and the realms of Light. Allow me to give you a gift, an exercise which will help you break through the restrictive walls of your fears and doubts and help you release those patterns that no longer serve you. We wish to impress upon you how harmful the energies of fear are--energies which are keeping you from claiming the gifts of mastery--and how simple it is to move through them. Stand before a mirror or hold a mirror in your hand and gaze into this mirror as you bring into your mind that which you most fear. Just as we have taught you to fill your body with Light, I now ask you to allow this fear to build as you create and imagine the worst scenario possible that has to do with this fear. Feel it begin to permeate your body, feel it especially in your heart and solar power center, as you move your consciousness throughout your body and feel the restriction, the stress, the crippling energy creep in and permeate your Being. Now look into your own eyes, see the pain, study your facial expression as it changes and ages. Feel the pressure build until you know you can tolerate no more. Now, beloved masters, take several deep breaths as you move deeper and deeper into your Sacred Heart Center and draw forth the Sacred Love of our Father/Mother God from within your Diamond Core God Cell--a precious gift that is always available to assist you through every trial and test. 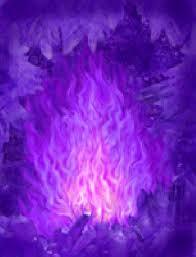 Call upon your OverSoul-Self to fill you with the healing frequencies of the Violet Flame, and with all your senses become aware as this wondrous gift pours through and around you. Can you hold on to the fear or does it dissolve into nothingness as this magic elixir of loving energy permeates your Being? Again, look in the mirror and see how soft your eyes have become; how youthful is your countenance. Feel the expansion in your heart and the release of the stress and strain within your body and muscular structure. Fear cannot exist where there is Light-where there is love. Breathe in the gift of life--breathe deeply of the Essence of Creation that is being offered to you. When you are in fear, you restrict and cut off the flow of the Pranic substance of life. This may seem like a drastic exercise, but in truth it is a great gift, for many of you cannot progress until you face yourself in the mirror, and allow your fears to be reflected back to you. You will become aware that the fear does not originate "out there," but from within. More and more of you are becoming aware of your life mission and how important it is. Do not fear to boldly step out, dear ones. Because you are assisting in the healing and resolution of the negative frequency patterns of your ancestral lineage. As you move upward on the Path of Light, you will also have available to you the wisdom and wealth of positive experiences from all the many lives of your soul companions. This is the wonder of unity consciousness. Have you not noticed how many teachers and messengers are bringing forth almost identical information, for they are experiencing the same emotional ups and downs, as well as receiving the same thought impulses? Many of you have gone to gatherings where you felt a deep sense of coming home, of being reconnected with long-lost family or friends. Just as many of you no longer feel in harmony with your physical family, nor seem to have anything in common with friends of long standing. Do not judge; become the observer-allow your Higher Self to supply you with the wisdom you need to move through or overcome any situation or obstacle. As you move into nonjudgment and are willing to allow the highest outcome to occur in all situations, you will break free of the bonds of fear, and life will become a constant source of wonder, joy and thanksgiving. Claim the gifts that are being offered to you, precious ones, you have earned them. Move through the fog of fear into the Light of the dawning age. Walk boldly with a spring in your step, a smile on your lips and joy in your heart-those behind you are watching, my brave warriors of Light, do not falter now. Show them, as we have shown you; take their hands and support them, even as we have done for you. Tell them that you cannot take on their tasks or burdens, but you can give them the benefit of your wisdom and experience. You will not have to make claims or state what level you have attained. You will not have to try to impress or dominate, for you know within your heart who you are and that is enough. You must learn to identify the source and deal with your own negative thought forms. Often your negative feelings are picked up from those around you, especially if you are a very empathetic person. Learn to surround yourself in a sphere of Golden/white Light in which nothing of a lesser vibration can enter and disturb your tranquility. 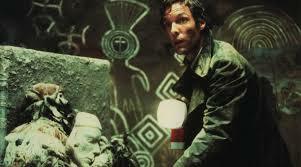 Everyone on Earth is in the process of clearing ancient memories and thought forms of the past. Be a passive observer when these feelings roil up within. Do not claim them, just observe and state to yourself: "This is anger I am experiencing," or fear, depression, guilt or any other dis-empowering emotion. Envision a blazing ball of Light descending from your Higher Self, bursting into a million tiny, crystalline diamonds rippling throughout your body, transforming and balancing all discordant energies within. Do this as often as necessary. Shut off your mental auto pilot, and become the director of your journey and your experiences. Tune into your own mental receiving station as you seek thoughts, vibrational patterns and sounds that are uplifting and empowering. Negative, critical thinking is composed of lower, disruptive frequency patterns. If you don't like what is happening in your world, lift your thoughts and change your mind so that you are projecting "balanced, uplifting frequency patterns of thought and intention." Learn to think with your whole brain--meaning, use both your linear, analytical outward- focused left brain, along with your intuitive, creative, inward-focused right brain. Tap into your genius potential or the Light Packets of wisdom stored within your Sacred Mind, which are attuned to the higher dimensional or the cosmic storehouse of knowledge. Do not always express or project your emotions toward others. Allow yourself to feel and express whatever emotions you are experiencing, but first analyze and resolve them within your own sacred space. Speak and share only to clarify or clear up a misunderstanding, and always share your thoughts through a filter of love and compassion. This is the way of a master. Beloved Bearers of Light, as you integrate more of the plasma of renewal and become harmonious purveyors of Light, we are now able to more freely interact with you, and to work through you to create wondrous new things. By agreeing to do so, miracles beyond your greatest imagining will abound. 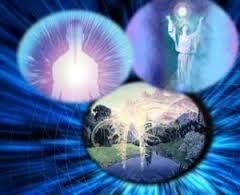 We enfold you in the Light of Life from the heart core of our Father/Mother God and the Supreme Creator. I am ever near to guide and protect you. 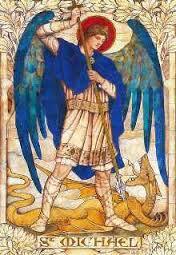 Transmitted through Ronna * As transmitter of this article I, Ronna, claim the universal copyright in the name of Archangel Michael.